Just steps from your Loreto Retreats luxury villa, within the village of Nopoló (Loreto Bay), you'll find activities for everyone, from the solo adventurer to the honeymooning couple, from the 85-year-old golf chums to the young family of five. Loreto Bay has it all! THE GOLF COURSE- The 18-hole par 72 course was recently redesigned by former British Open champion David Duval, and is reputed to be one of the most beautiful and challenging courses in Mexico. THE BEACH- All of our villas are located within steps of the beach, and provide beach towels. Lounge in the sun or relax under the shade of a palm hut. Clean restrooms and outdoor showers make it easy to switch to the beachside pool or head to the beachside restaurant for fish tacos and a cold cervesa. 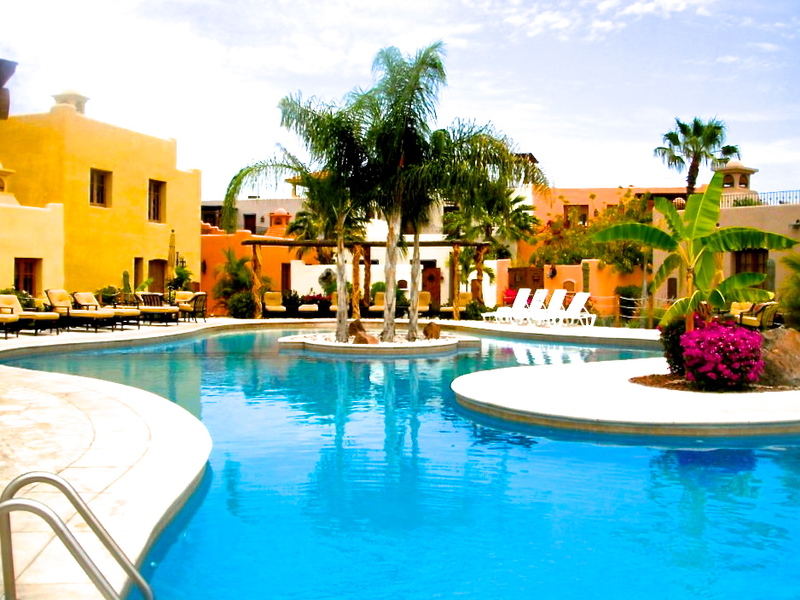 POOLS- There are 4 pools available for Loreto Retreats guests. 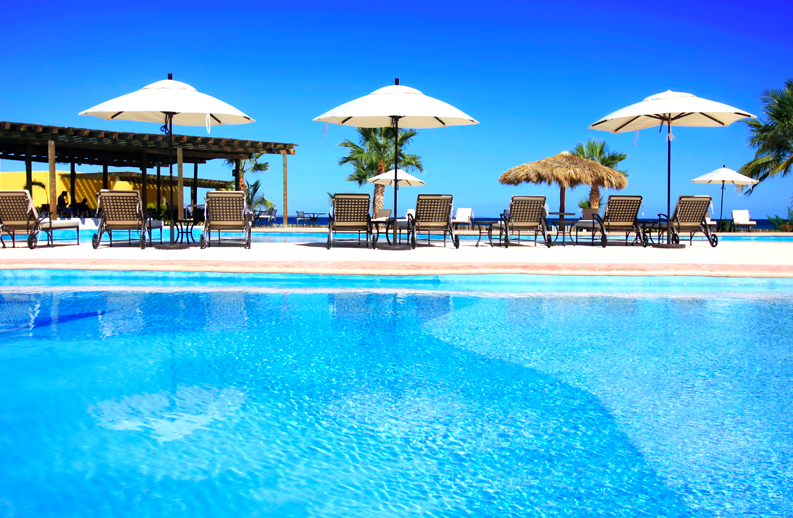 Enjoy a margarita at the beachside pool bar, take the little ones to the kiddie pool, or exercise in the new lap pool. SNORKEL- snorkel along the shores of Loreto Bay or take a half hour boat ride to nearby Isla Coronado to find crystal clear blue waters filled with beautiful coral, sea turtles, and fish. KAYAK and PADDLE BOARD- Rent these and other water sports equipment from the activity shack on the beach. 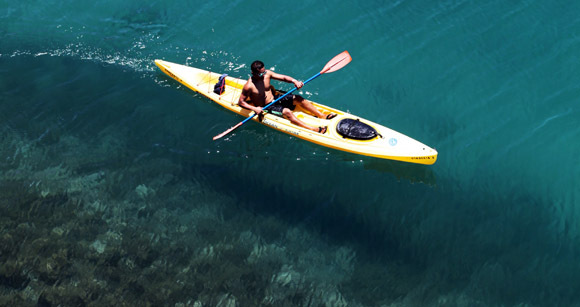 Loreto Bay and the nearby islands are a world renowned kayaking destination. TENNIS- bring your racket or borrow one from the community center and enjoy a match in the sun! BICYCLE and ATV rentals- Explore the village and nearby mountains on wheels. HIKE- Take an early morning stroll along the beach, and then hike up the large rock hill jutting out of the water to discover a spectacular view of the sunrise. SPAS- The boutique village spas will pamper you with massages, facials, manicures, and more. SHOPS- The village boasts many beautiful art galleries, interior decor shops, and clothing boutiques. The small village grocery store has any necessities you may have forgotten at the larger market in town. RESTAURANTS, CAFES, BARS- Enjoy Coffee shops, a wine bar, a tequila bar, and many delicious restaurants within the village.